The Sklyarova family hasn’t paid for cable in over a decade. Anna Sklyarova, a junior nursing student at Stony Brook University, hasn’t willingly used cable since 2009 — their family stopgapped with YouTube and the library until they were able to purchase subscriptions to Amazon and Hulu. “Ads are stupid,” Sklyarova said, and they like watching shows wherever and whenever they want — even at 3 a.m., if they choose. “The joy of watching “The West Wing” in the shower is not to be questioned,” Sklyarova said. Sklyarova’s attitude isn’t unusual — most consumers in their twenties and younger prefer internet streaming to cable. Called “cord-nevers,” this new generation is establishing households without ever subscribing to a cable plan. About six out of 10 adults between the ages of 18 and 29 prefer using streaming platforms to watch television, according to a Pew Research study published in 2017. The opposite is true for the overall American adult population, nearly 60 percent of which still primarily uses cable. “As of right now, the general millennial mindset is, ‘Why pay for something so expensive that restricts me to watching only at home?’” Peter Caprariello, an assistant marketing professor at Stony Brook University, said. Television streaming platforms are especially accessible for college students in particular. Spotify, a popular music streaming app, offers college students Hulu and Showtime subscriptions if they purchase a discounted Spotify Premium account. Amazon Prime, which offers students two-day free shipping for half the price it charges other consumers, also throws in access to its T.V. platform. Kimberly Pokstis, a sophomore psychology major, doubts she’ll ever buy cable. “I feel like you can either pay significantly lower prices or get streaming services for free through other things y’know? Like I get free Hulu from my Spotify account. And I have all the shows I normally watch on T.V. there,” Pokstis said. College campuses, including Stony Brook University, Birmingham-Southern College and Bloomsburg University of Pennsylvania, even offer students platforms like HBO GO. “Residents enjoy the flexibility to use their laptops and mobile devices to watch programming anywhere at the University,” Henry Joseph, an assistant DoIT director at Stony Brook University, wrote in an email, citing campus surveys. 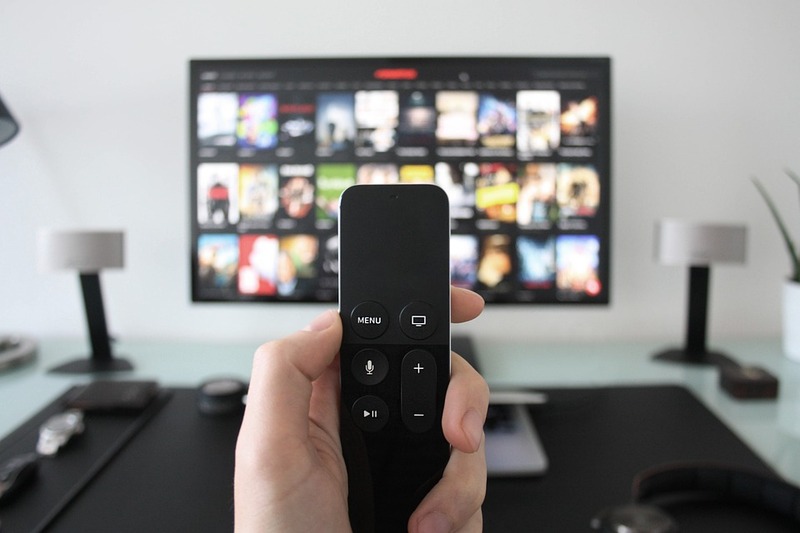 A study released by Leichtman Research Group, which researches and analyzes the broadband, media and entertainment industries, reported that over a million people dropped their traditional pay-T.V. subscriptions in the third quarter of 2018. Meanwhile, Netflix saw nearly 7 million additional subscribers in the same time frame. “The penetration of pay-TV among younger individuals and related groups, including renters, singles, and movers, has declined at a faster pace in recent years, expanding demographic divides in pay-TV,” Bruce Leichtman, president and principal analyst for Leichtman Research Group, said in a quote from the study. For recent college graduates, prices can be a strong motivator. Men and women between 16 and 24 made the lowest weekly earnings per week, at $575 and $515 before taxes, respectively, according to a 2018 report from the federal Bureau of Labor Statistics. Netflix prices range from $7.99 to $13.99 per month, depending on which subscription a consumer buys, and Hulu costs range from $7.99 to $39.99 per month. Meanwhile, a study by Leichtman Research Group estimated that the average pay-T.V. subscriber paid $107 per month in 2018. Abbie Cobb, who graduated from Stony Brook University in May 2018, ticked off a list of reasons she uses Netflix and Hulu: no commercials, a variety of options and the ability to choose what to watch and when. Cobb often watches “The Great British Baking Show,” among other things, on her laptop after she comes home from long hospital shifts. “I basically never watch cable,” she said. Rakim Isaacs, a 24-year-old CUNY City College graduate, does pay for cable — but it’s for his grandad, who shares an apartment with him. He acknowledged that he still uses cable to watch sports, though. Despite all this, Benjamin Mullin, a digital media and advertising reporter for The Wall Street Journal, does not think that cable is going anywhere. He pointed out that although customers are decreasing, there are still millions of people all over the world who pay for cable.